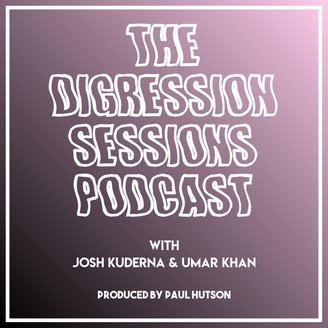 Baltimore based comedian Josh Kuderna is your host of The Digression Sessions. Listen as he chats with comedians, improvisers, musicians, and creative people from around our beautiful globe..
Ep. 285 - Josh & Umar! Don't forget Umar released his special! Check it out -> HERE! And Josh's band, Tremendous Athlete, released a new ep entitled Progress! It's available wherever you stream music! 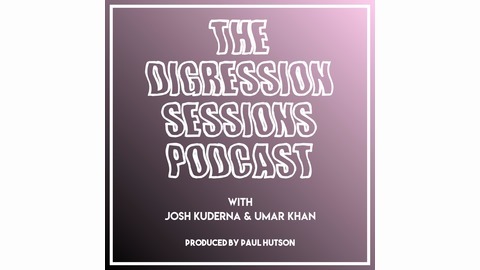 Follow the podcast and Josh Kuderna and Umar Khan, on Facebook, Twitter, and Instagram! Thanks for listening, all! Do the pod a favor and rate and review the pod on Apple Podcasts, Google Play Music, Laughable, Stitcher, & Spotify plz! Ep. 284 - Maria Sanchez!